Due to the inclement weather, we have decided to postpone the November General meeting. This meeting was supposed to be about setting our goals and priorities for the upcoming year and we want to do this at a time when as many members as possible can join us, but we also want everyone to stay safe. Therefore, we have decided to postpone the November meeting. We will let everyone know as soon as we have a new date. 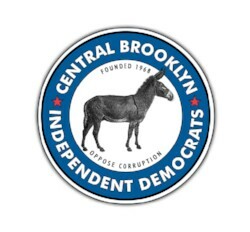 Copyright Â© 2018 Central Brooklyn Independent Democrats, All rights reserved.